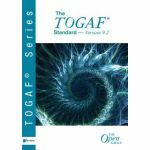 Minimum quantity for "TOGAF 9 Foundation Study Guide 3rd Edition" is 1. 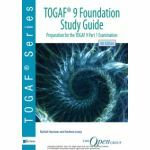 This title is a Study Guide for TOGAF ® 9 Foundation. It gives an overview of every learning objective for the TOGAF 9 Foundation Syllabus and in-depth coverage on preparing and taking the TOGAF 9 Part 1 Examination. 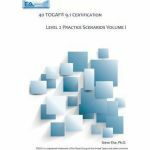 It is specifically designed to help individuals prepare for certification. This Study Guide is excellent material for: * Individuals who require a basic understanding of TOGAF 9; * Professionals who are working in roles associated with an architecture project such as those responsible for planning, execution, development, delivery, and operation; * Architects who are looking for a first introduction to TOGAF 9; * Architects who want to achieve Level 2 certification in a stepwise manner and have not previously qualified as TOGAF 8 Certified. A prior knowledge of enterprise architecture is advantageous but not required. 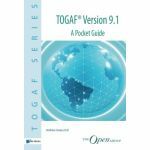 While reading this Study Guide, the reader should also refer to the TOGAF Version 9.1 documentation (manual), available as hard copy and eBook, from www.vanharen.net and online booksellers, and also available online at www.opengroup.org.